No one can deny the beauty of the presence of birds, however sometimes they may pose a significant health threat similar to nuisance rodents. Unwanted birds on your residential or commercial property can contaminate your home or facility leading to business losses and an increased risk of disease transmission that often accompanies a bird infestation. Excessive bird droppings will cause an area to become a health hazard and highly unsanitary and will also damage the outer finish of a residential or commercial building. Arizona Organic Pest & Termite Control provides comprehensive and customized bird pest control programs that specifically deal with the damage brought on by nuisance bird wildlife in your area. 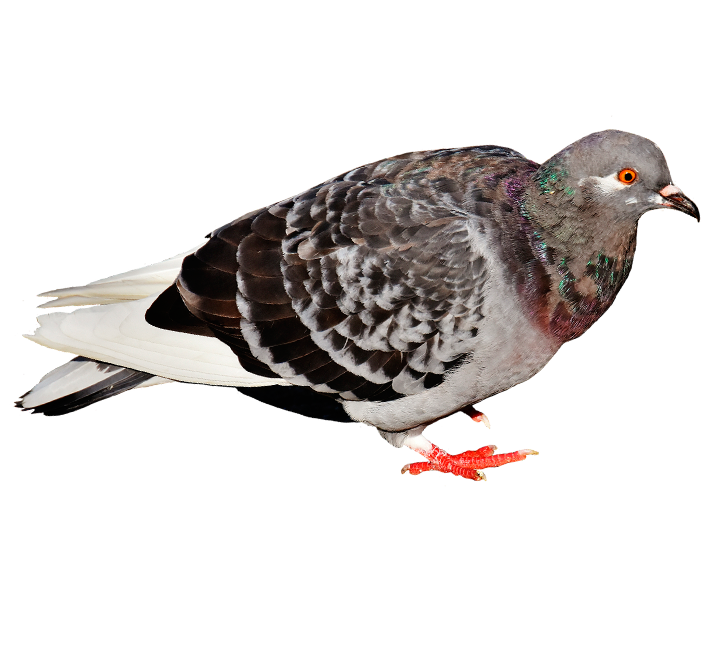 The Feral Pigeon is found in most major cities throughout North America. Linked to the spread of diseases such as Salmonella, Histoplasmosis, Meningitis, Encephalitis and other life threatening conditions, pigeons also provide a means for other pest infestations as carriers of bird mites. These noisy fowl are also among the range of birds classified as pests and can invade and damage buildings, fence areas and large poles. They are, however, federally protected and subject to pest control according to strict federal laws. Contact a licensed bird pest control specialist before taking any action. Several species of birds are protected under strict laws. Killing and capturing these birds, or destroying or removing their nests may be prohibited. Arizona Organic Pest & Termite Control is licensed to provide decontamination and bird pest control services that pose a threat to your residential or commercial property. Arizona Organic Pest & Termite Control bird pest control specialists begin with a thorough inspection of your home or business property to assess and accurately identify the problem and then formulate precise plans for safe yet effective removal. Our licensed bird control experts provide long term pest control solutions that include precise nesting and shelter modifications or the professional installation of exclusion devices that prevent nuisance birds from accessing your property. Both humane and effective, Arizona Organic Pest & Termite Control will apply the most appropriate solution to rid your property of unwanted nuisance birds. Arizona Organic Pest & Termite Control provides safe and effective bird pest control at your home or workplace.